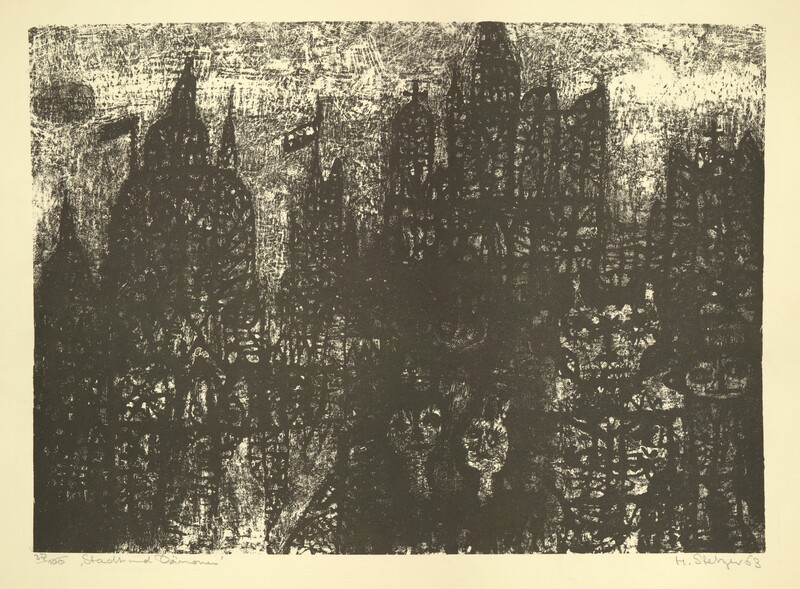 A lithograph entitled "Stadt und demons" by Harold Stetzer. 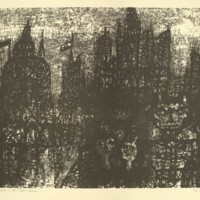 The piece shows what appear to be very dark buildings with whitish faces in them. Some of the buildings have flags on their spires. 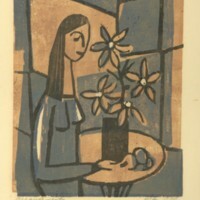 Stetzer, Harold, “Stadt und demons,” Digital Exhibits, accessed April 24, 2019, https://cuexhibits.wrlc.org/items/show/204.